It all started with an email, then a meeting at a pub, then a bottle of hydrogen cyanide. 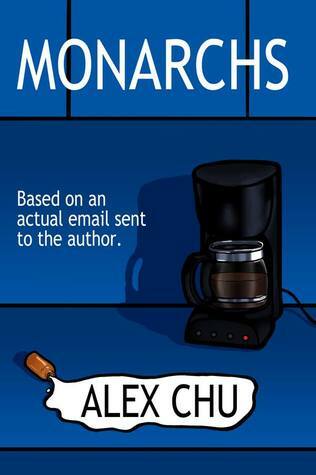 Suddenly disgruntled customer service rep Logan Weidman found himself initiated into the mysterious ring of Monarchs, where wealth and status are guaranteed, and everything works out for its members-even getting away with murder. When the Monarchs start demanding favors from Logan, he realizes that their idea of success is very different from his own, and there will be no easy escape from their midst. We have all see the kind of emails promising you great wealth in exchange for just your bank account details. When Logan Weidman receives such an email but the price being a sacrifice – what would you do? From that moment on his life changes – for the better? Perhaps, he does get the promotion and then fast forward a few years is director. But one thing that is clear is that Logan’s life is no longer his own. This was a great read and I loved whole concept of the Ring of Monarchs, if you are looking for something to get you hooked from the start then this is the book for you.